Working nights affects the daily rhythm of life, which can negatively impact your health. According to the European Food Information Council, night shift work has been linked to increased risk of obesity, Type 2 diabetes, heart disease and depression. Along with disrupted circadian rhythms, poor nutrition plays a large role in obesity and disease development. Improving your eating habits and taking certain vitamins for the graveyard shift could help protect your health and improve your on-the-job performance. Night shift workers may have little opportunity for regular sun exposure, which is the primary way your body gets vitamin D. This fat-soluble nutrient works with calcium to promote strong bones and prevent osteoporosis. It's also involved in cell production, neuromuscular and immune function, and the reduction of inflammation. 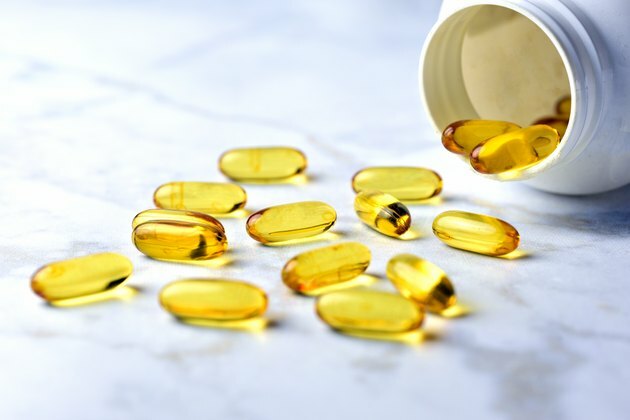 Research has linked low vitamin D levels with increased risk of colon, prostate and breast cancers. It has also found an association between night shift work and increased rates of breast, skin and gastrointestinal cancers in women and colon, pancreatic, lung, bladder, prostate and rectal cancers in men. Combined with the potentially carcinogenic activity of suppressed nighttime melatonin — the hormone that regulates wakefulness — vitamin D deficiency may be a serious threat to the health of night shift workers. The National Academy of Medicine recommends a daily intake of 600 IU for all adults. Ideal blood levels of the nutrient range between 40 and 80 ng/ml, according to the Vitamin D Council. Your current blood level determines how much vitamin D you need to take to reach the ideal range. Visit your doctor for a blood test and dosage recommendations. On your off days, try to spend some time in the sunshine. You only need brief periods of regular sun exposure without sunscreen for your skin to make a sufficient amount of vitamin D. Depending on what time you work, you can also try to get some sun before your shift begins. Additionally, include more food sources of the nutrient, such as fish and fortified milk, in your daily diet to increase your intake. Vitamin D is the most widely studied vitamin important to shift workers. Additionally, vitamins B6 and niacin help your body produce tryptophan, which is necessary for the creation of melatonin. However, a deficiency in any vitamin can affect your sleep, your work performance and your overall health. If your doctor recommends it, taking a normal dose of a high-quality multivitamin won't do any harm, but it may help fill in gaps in your diet. Multivitamins provide at least the daily value for most nutrients, although they may not provide enough vitamin D for night shift workers. With your doctor's permission, you can take both a multivitamin and a vitamin D supplement. Nighttime vitamins shouldn't be used as a substitute for a healthy diet. A little preparation can help you avoid the fast-food traps that night workers often fall into. American Nurse Today recommends preparing and packing meals before your shift or choosing low-calorie prepared meals. Make sure the meals are free from saturated fat, trans fats and sugar, including high-fructose corn syrup. Pack healthy snacks, such as cut-up fruit and veggies, that you can crunch on when you have an urge to hit the vending machine. Oncology Nursing News: Does Night Shift Work Increase Your Cancer Risk? Vitamin D Council: I Tested My Vitamin D Level. What Do My Results Mean? The Wall Street Journal: Is It a Good Idea for Adults to Take a Daily Multivitamin?